Nu-Heat now offers a range of energy-efficient pump options that meet the requirements of the Energy Using Products Directive (EuP). Agreed in 2005, the objective of the EuP is to reduce carbon emissions by reducing the amount of energy used, including in domestic heating and hot water. Nu-Heat now supplies one of the most advanced energy efficient domestic circulators of its kind on the market today; essentially, a direct replacement for previous models. The reduction in power consumption has been achieved by using the latest permanent magnet motor technology. It hasn’t been the easiest task for Nu-Heat to adapt our existing products to accommodate the EuP-ready pumps and manage the stock transition, but we managed to do this in good time, although it was further complicated by the additional product innovation that is still going on subsequent to the legislation change. The change has, however, been positive in terms of system design. Nu-Heat now uses a smaller range of pumps but, without exception, the variable-speed equivalent has a greater capacity (both in terms of head and flow capability) than the old fixed-speed counterpart. Being able to do more whilst using less power has to be advantageous. There are pumps in just about everything that we sell, and different products require the pumps to be set up differently – for example an underfloor heating pump will be set in constant-pressure mode, whereas the shunt pump on our thermal store still needs to run in fixed-speed mode. Heat pumps, on the other hand, tend to use the pump at maximum capacity (the highest fixed-speed mode) in order to get the closest temperature differential. 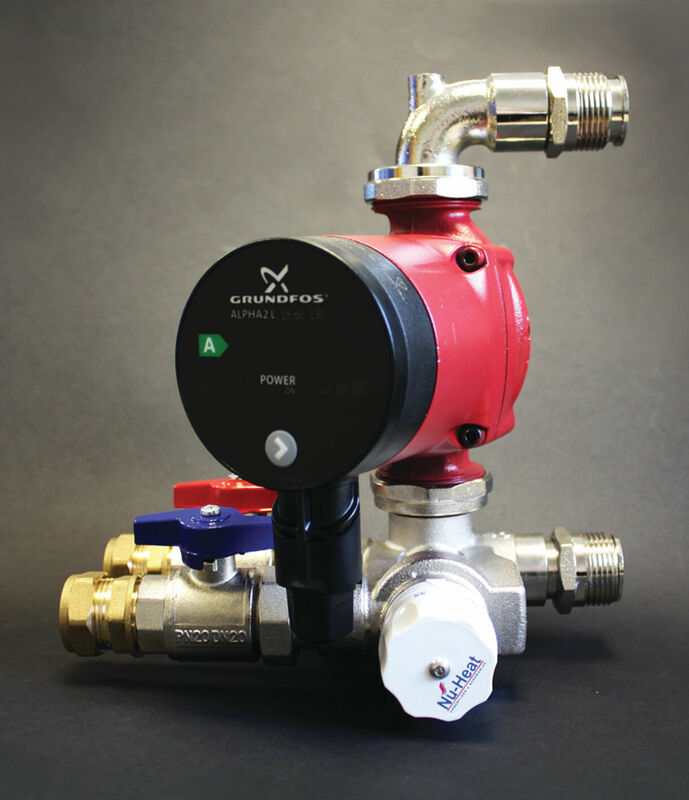 The range of pumps that we use has the capability to fulfill those needs, and our literature offers installers guidance on what mode is suitable. Within the business variable speed (EuP-ready pumps) seem to have been with us forever, although Nu-Heat’s Technical Support department now has to explain that service replacement pumps will not be the same as the original item. Overall the new pumps represent a better product for the end user.